“Girodet, I am arguing, was intensely cognizant of the distance between himself and his model. His portrait produces Belley for us, brings him close, but also sets him apart as a being that cannot be confused with oneself. This is the difference of the physically non-identical; the portrait offers neither the fantasy of interpenetrating boundaries nor the fantasy of psychic habitation. Images of the suffering black body asked for the viewer’s empathetic identification. The portrait of Belley does not demand such an act of projection; indeed it thwarts it. 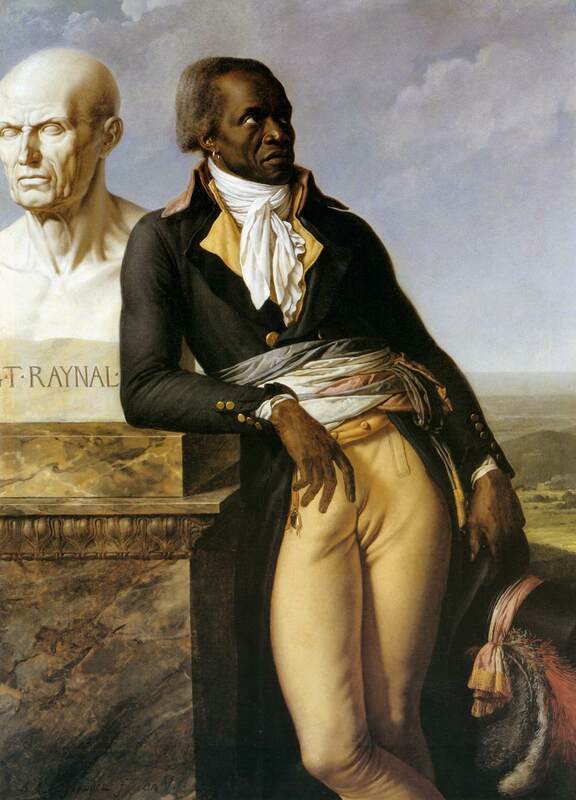 A hostile interpretation of the portrait would describe it as an objectification, but what interests me is the way the picture’s emphatic empiricism enhances our sense of the personal autonomy and psychological independence of a specific black man precisely because it insists, with extraordinary intensity and detail, upon his irreducible distinctness. Opacity wedded to particularity can add up to respect for human beings’ fundamental incommensurability. Fundamental incommensurability? To valorize individual autonomy is to rehearse an elite prerogative. Bring biological conceptions of race into view and see how ‘incommensurability’ or ‘difference’ become slurs. In Revolutionary France, the very terms of autonomous selfhood were insidiously inflected when black bodies were at issue. Does not incommensurable difference, after all, precisely recapitulate the thesis of separate races? Darcy Grimaldo Grigsby, Extremities: Painting Empire in Post-Revolutionary France (New Haven: Yale University Press, 2002), p. 49. Mary L. Bellhouse, “Candide Shoots the Monkey Lovers: Representing Black Men in Eighteenth-Century French Visual Culture,” Political Theory, vol. 34, no. 6 (December 2006): 767. The nuanced complexity of his color is also taken up, as a sort of banner advertising the artist’s technical expertise, in the enormous dark marble pedestal that occupies nearly a quarter of the composition…In the end, it is unimportant if the subtlety of the marble is real or invented. Whether real or painted faux marble, the material accentuates the pure visuality of the painting and introduces a dialectic with the subject….